I am a qualified counsellor and hypnotherapist, and a member of the British Association of Counsellors and Psychotherapist (BACP) and The National Hypnotherapy Society. I have worked as counsellor in a GP practice, as well as in private practice since 2010. I have experience in dealing with a range of issues, including bereavement, low self-esteem, anxiety, self harm, depression and suicidal thoughts. 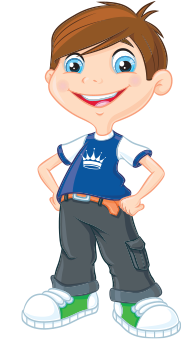 I will help you to explore your thoughts and feelings in a safe and confidential setting so that you are free to explore alternative ways of thinking and alternative behaviour patterns. I am available for face to face weekday evening sessions in Stockport or during the day at weekends. 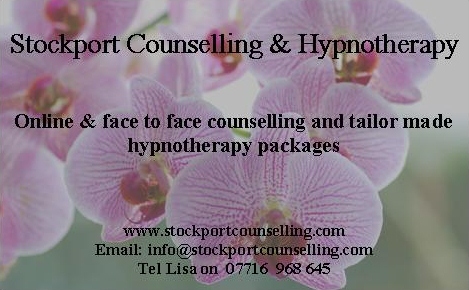 If you are unsure about whether counselling or hypnotherapy are right for you please feel free to contact me for further information or take a look at my website www.stockportcounselling.com. Counselling is therapy-by-talking. Counselling can help you to work through your problems and issues in a safe and confidential setting either in the comfort of your own home via a web-cam (on-line) or at my therapy room in Stockport, South Manchester. Counselling can help you to explore your feelings about past or current events and trauma’s. It can also help you to understand your thoughts, feelings and behaviour. Counselling can help with a number of issues. Through providing a regular, safe and confidential space, either on-line or face to face, you are encouraged to talk about your troubles free from interruptions and other distractions, so that you can learn to cope with specific problems, improve your relationships, find better ways of ‘being’ and deal with crises. During the sessions I won't give you advice; instead I will try and help you to look at your problem from a different angle so that you can change your behaviour and feelings if this is necessary and if you feel it is appropriate. To get the best out of counselling, sessions usually take place once a week over a number of weeks. This is because making a regular commitment will give you a better chance of understanding and dealing with the things that are causing you distress. Hypnosis is not sleep but a trance like state you are fully aware of what is going on around you and are able to respond to requests either verbally or by some other signal. A trance state is achieved by deep relaxation of both the mind and the body using guided concentration. When this is achieved the boundary between the conscious and the unconscious minds begins to blur and then the unconscious becomes open to receiving new messages. This is when I will deliver the new messages (the therapy) that we have previously been discussed and agreed. A person who does not want to be hypnotised will not be hypnotised. You cannot be induced into saying or behaving in a way that is not acceptable to the person. Therefore hypnosis and hypnotherapy is not mind control. Hypnosis can be better described as an altered state of consciousness featuring a process in which you choose to see only what is relevant to the task in hand and so blocking everything else out.